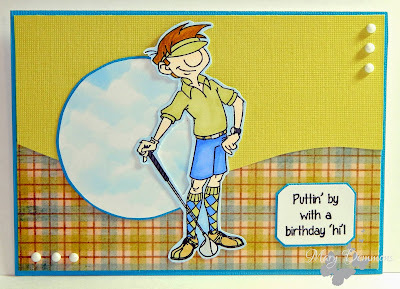 Mary's Crafting Corner: Puttin' By With A BIrthday Hi! Here is another card I created today using the Wild And Crazy Guys stamp set from Kraftin' Kimmie Stamps. I used the sketch from the Sweet Sunday Sketch challenge. I created the sky background in the circle using a light blue ink pad and a cloud template. The template can be found here. I layered card stock, patterned paper, jellies and fussy cut around my image to finish the front of my card. The sentiment is also from the Wild And Crazy Guys stamp set. A beautifully bright and welcoming card Mary. Thanks so much for joining our birthday celebrations at Allsorts, good luck with the big prize draw and the DT have more prizes on their own blogs as well. Okay, what an ADORABLE card! Your take on the sketch to make a golf scenario is just perfect. He's the cutest image, I love what you made! Thank you so much for joining in on the challenge at The Pink Elephant! Fantastic masculine birthday card! Thank you so much for playing along with us at Craft Your Passion! A great take on the sketch and use of check DP. A fab masculine card with a beautifully coloured image. 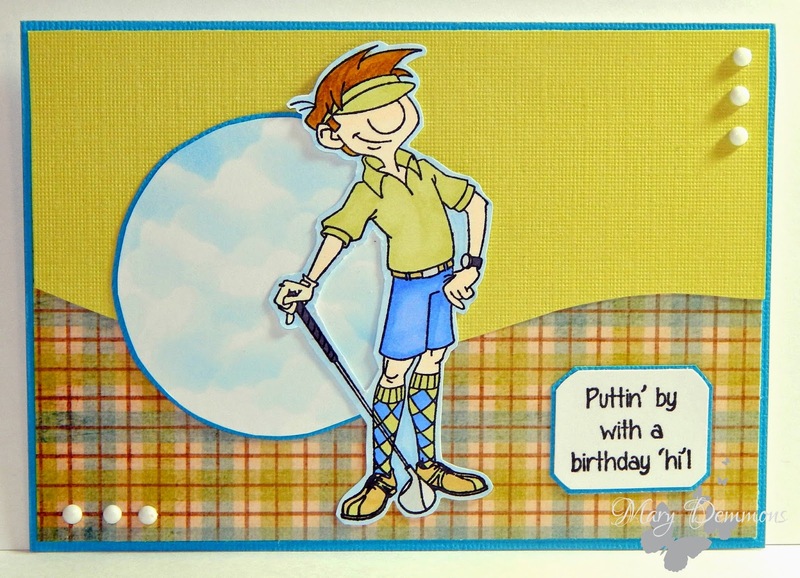 What a great card, I have several golfers in my family so this strikes a chord with me! Thanks for joining us at STB! Gorgeous card! Love the sketch! Thank you for joining our Saturday challenge at Kraftin' Kimmie Stamps! Super fun colours and great colouring. Thanks for playing along with Seize the Birthday. 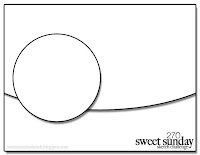 Love this simple sketch and what you have done with it! Super crad! Thanks for sharing with Creative Fingers!